Cleatech’s Polypropylene and Stainless Steel Fume Hoods are designed to ventilate and remove chemical fumes through exterior ducting via the duct port. 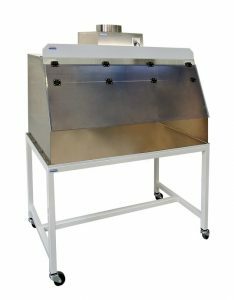 These chemical resistant exhaust hoods can be placed on any standard workbenches and can be ordered with and without a bottom worksurface. The optional fan system module features an adjustable air speed controller with a backward curved impeller 480-CFM. Please note that the blower module is not rated for acid and corrosive chemicals. 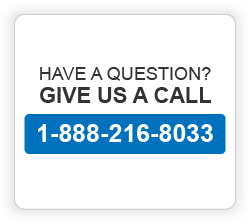 * Up to two duct ports can be ordered for the 48″, 60″ and 72″ fume hoods. Blower Module is not rated for acid and corrosive chemical. 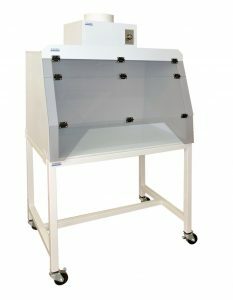 Up to two fan modules can be ordered for the 60″ and 72″ fume hoods. Note: Airflow Alarm Monitor is recommended to improve laboratory fume hood safety. Note: A stand will be added to your order when purchasing base cabinets. Available in Polypropylene and 304 Stainless Steel for the walls. Bottom-less design with mounting flange. Permanent worksurface is optional. Front tilt-up sash in AR Polycarbonate for Polypropylene hoods and Static-dissipative PVC for Stainless Fume Hoods. Can be equipped with up to 2 optional adjustable speed blowers to ensure a safer exhaust flow. Can be placed on any available work and bench surface. Worksurface Construction: Optional worksurface available in Polypropylene and 304 Stainless Steel. Front Shield Material: Clear AR Polycarbonate for Polypropylene hoods and transparent Static Dissipative PVC for Stainless Steel hoods. Blower Module Adjustable Speed, Backward curved impeller 480-CFM, Permanently lubricated, Automatic reset thermal overload protection, 120VAC, 60Hz, Polypropylene or Stainless Steel Housing. Electrical 120VAC/60Hz; consumes 165W; Meets the requirements of the National Electrical Code and applicable local codes. All components UL listed and CE marked.